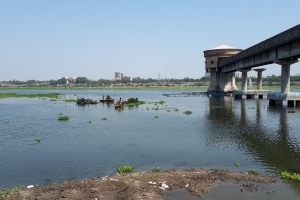 A Global Commission on Adaptation, featuring the Netherlands as a key convener and to be overseen by the 8th Secretary-General of the United Nations Ban Ki-moon, Co-chair of the Bill & Melinda Gates Foundation Bill Gates, and World Bank CEO Kristalina Georgieva, will be launched in October. The Commission will elevate the political visibility of adaptation and will focus on solutions, catalyzing a global adaptation movement and accelerating action. Dutch Minister Van Nieuwenhuizen (Infrastructure and Water Management), the initiating Commissioner, shared the news as part of an event giving the go-ahead to the construction of a floating office in the Rotterdam Rijnhaven. She noted that the Commission will be co-hosted by the Global Center on Adaptation in the Netherlands, which is headquartered in Rotterdam and Groningen. Minister Van Nieuwenhuizen will represent the Netherlands as commissioner, alongside other global leaders. The Commission will be formally launched on October 16 in the Hague, at which time the names of other Commissioners and convening countries will be announced. 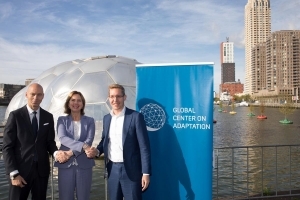 Last year, Minister Van Nieuwenhuizen announced that the Global Center on Adaptation will set up shop in Groningen and Rotterdam. The international organization, previously known as the Global Center on Excellence in Climate Adaptation (GCECA), is undergoing a transformation of its mission and Patrick Verkooijen has been appointed as the new CEO.